Round 4 of the Touring League, The Liam Horner, took place on a beautiful spring morning from Clonee on Sunday 7th April. There were 13 cyclists in total – four, who felt their fitness wasn’t up to par, started early and Jimmy Murphy, whose marshalling duties finished early, joined in Summerhill. 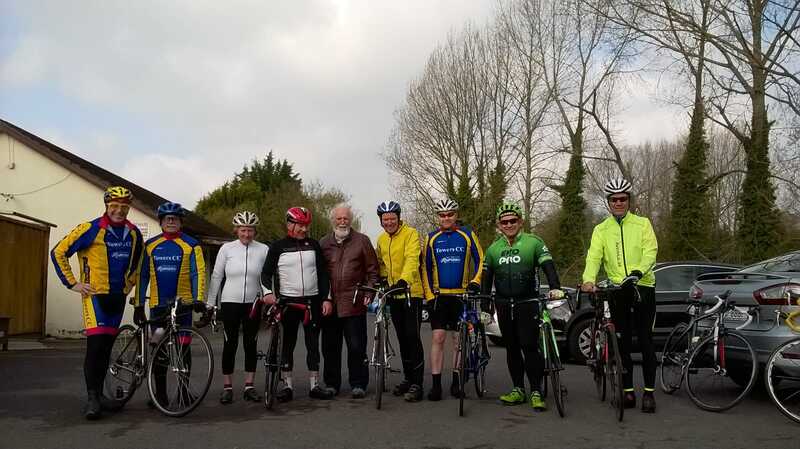 The route was, as usual, through Dunboyne, Summerhill, Trim, Bective, Kilmessan and Hill of Tara where there was a tea stop. The early starters had tea in Kilmessan where it looks like they got better service and far better value for money. The groups then headed for Skryne Castle and, with all the climbing over for the day, the pace really picked up down Skryne Road through Kilbride and inevitably there was a sprint finish back to Clonee. First man home was Eddie Mongey, followed by Alan Heary and Jimmy Murphy and, unbelievably, both groups finished within seconds of each other. History was made on this tour as Jimmy is first person ever to get 2 points both for racing and touring on the same day. Well planned Jimmy!! Our sincere thanks to Kevin Byrne who came along especially to do the sign on instead of Mick Byrne who was unavailable! Best Wishes to Mick who was undergoing hip surgery on Monday, we wish him a speedy recovery and BE BACK SOON MICK! The total distance was 80km and was thoroughly enjoyed by all. Round 5 of the league, Mind The Gaps, takes place on Sunday 12th May from Cycle Superstore at 9.00am.